KIÊN GIANG – The Cái Lớn – Cái Bé irrigation project in the Mekong Delta has been approved by the Ministry of Agriculture and Rural Development, according to Lê Hồng Linh, director of the ministry’s Irrigation Work Investment and Construction Management Board No 10. The project, which will connect the Cái Lớn River to the Cái Bé River in the Delta, is expected to improve agricultural and aquaculture production, control salinity, fight the effects of climate change, and supply freshwater to An Minh and An Biên districts during periods of low rainfall. Construction on the first phase of the project, slated to be completed by the end of 2021, will occur in Châu Thành District on 54.5 hectares of land. It will cost over VNĐ3.309 trillion, of which VNĐ3.3 trillion will be from government bonds. Phạm Vũ Hồng, chairman of Kiên Giang People’s Committee, said the project would help combat climate change (which the province is especially susceptible) and will bring value to the area and nearby regions. The People’s Committee and Kiên Giang’s National Assembly delegates strongly backed the project, and local authorities said they consulted experts about the project. Nguyễn Văn Đồng, director of the Agriculture and Rural Development Department of Hậu Giang Province, said that it would be preferable to have either freshwater or saline water since a mixture of the two is problematic. As part of the project, local farmers will receive training on how to adapt to climate change. Earlier, many experts had expressed concern about the project and questioned its importance and effectiveness. 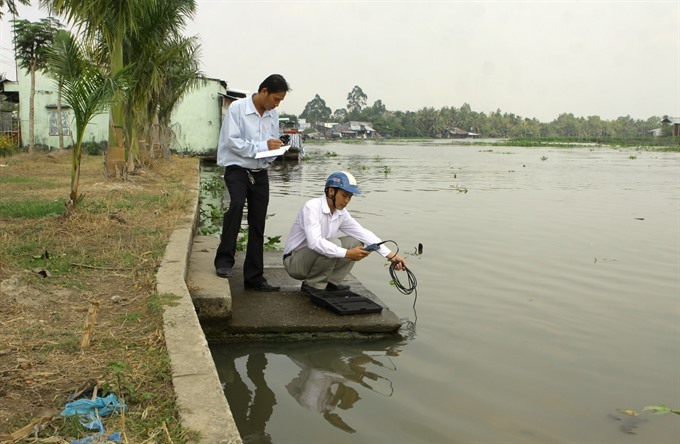 Professor Lê Anh Tuấn from Cần Thơ University, for instance, said that it would harm the biodiversity of the region, and that the building of a system to keep out salinity and preserve freshwater could pollute freshwater due to chemicals from farming. Professor Dương Văn Ni from the university said that farmers were using saltwater for aquaculture, and questioned how the control of salinity would affect that. He also said the lack of diversity in farming products is the issue, not the problem of salinity and freshwater.